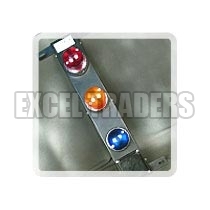 We are primarily engaged in the supplying of Anti Collision System Indicating Lamp in all over the world. The Anti Collision System Indicating Lamp is designed in compliance with the set industry standards by making use of the high-grade materials. These Anti Collision System Indicating Lamps are efficient in performance and long lasting in nature.